The evenings have begun to cool and the morning air is brisk – Fall has come upon us. This is the kind of weather that makes me think of cozy evenings curled up with a book and if you’re looking for something new to read what better place to head than the museum gift shop. 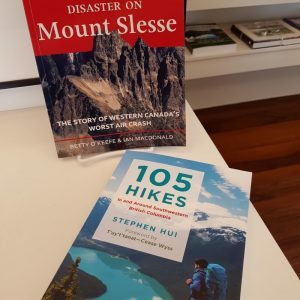 We have an excellent selection of local history books such as the Chilliwack Story, Disaster on Mount Slesse, and Edenbank; we also carry a variety of noteworthy First Nations books, including Being Ts’elxwéyeqw and Sepass Poems. Our children’s section is expanding as well with local history books such as Flood Warning, featuring a child’s perspective of the 1948 flood, and Island in the Salish Sea, a beautifully illustrated story of a young girl’s visit to her grandmother’s island home. 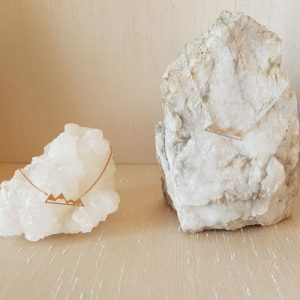 If your bookshelf is already full of books to be read we’ve also got a variety of locally produced jewelry and gifts such as the Mountain range necklaces by Ava & Oliver and handmade birch coaster sets by Laureen Cuvilier Benton. The museum and gift shop is open Monday through Friday from 9:00 am to 4:30 pm and on Saturday from 10:00 am to 4:00 pm. We look forward to seeing you there!